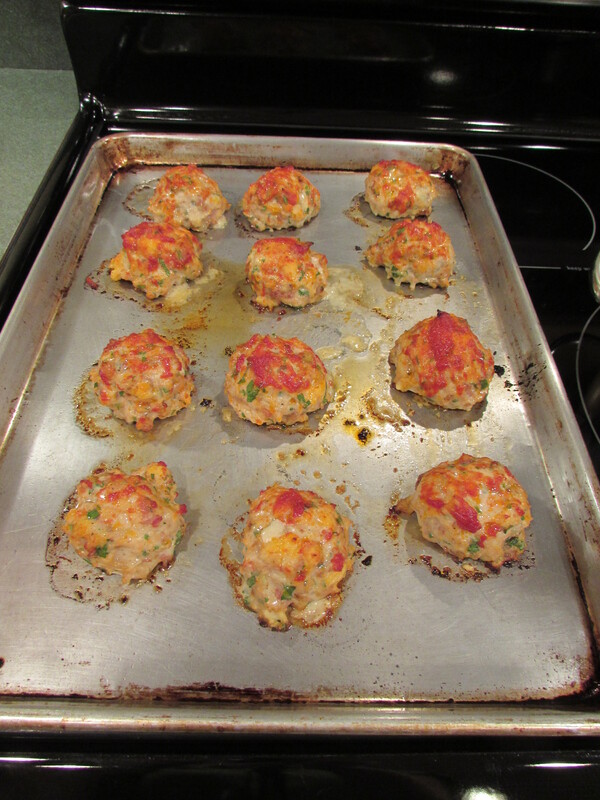 These are yummy meatballs, non beef, full of flavor and baked! Winning combination. 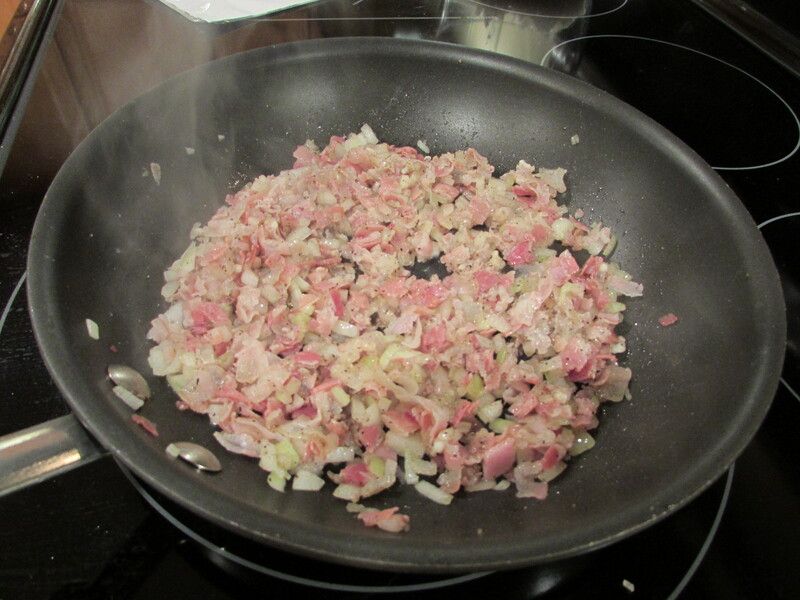 I found this recipe a long time ago and thankfully stumbled upon it again in my cookbooks. 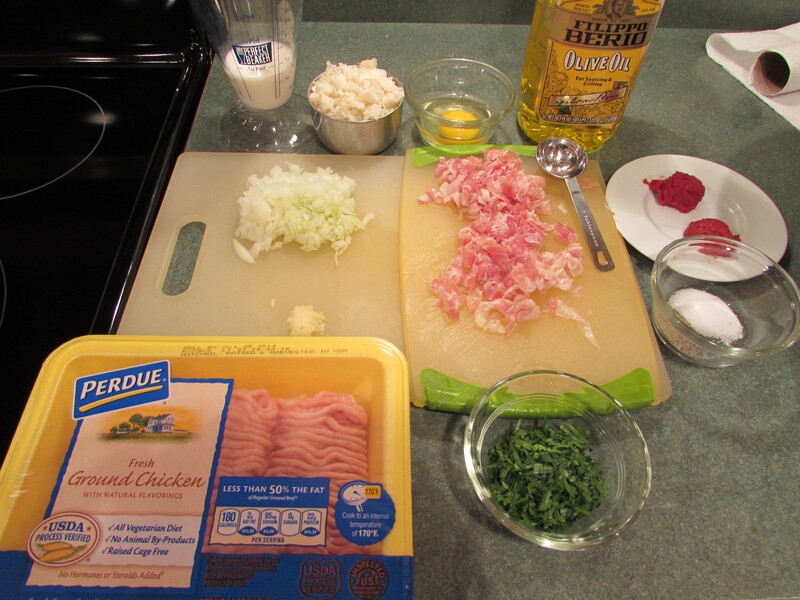 The Gourmet Magazine recipe adds the meatballs to their version of pereronata (usually a mixture of sweet peppers, tomatoes, onions and garlic cooked in olive oil) and serves it with garlic bread. I added the meatballs to tomato sauce and served it over pasta. Either way, they are delicious! 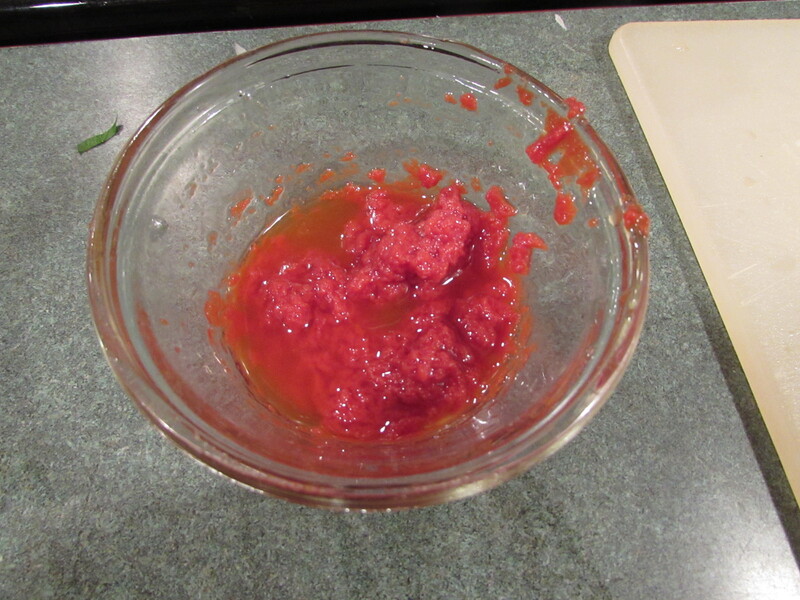 Note: to make these meatballs for sauce, omit one tablespoon of tomato paste and olive oil and the procedure that goes with it. 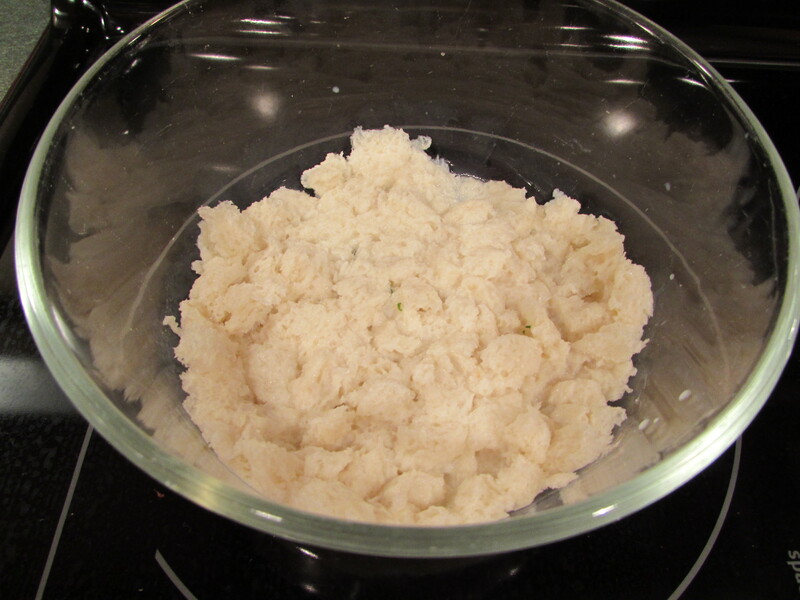 If you would like to serve them as is, then see the pictures and directions for the added tablespoon of tomato paste and olive oil. 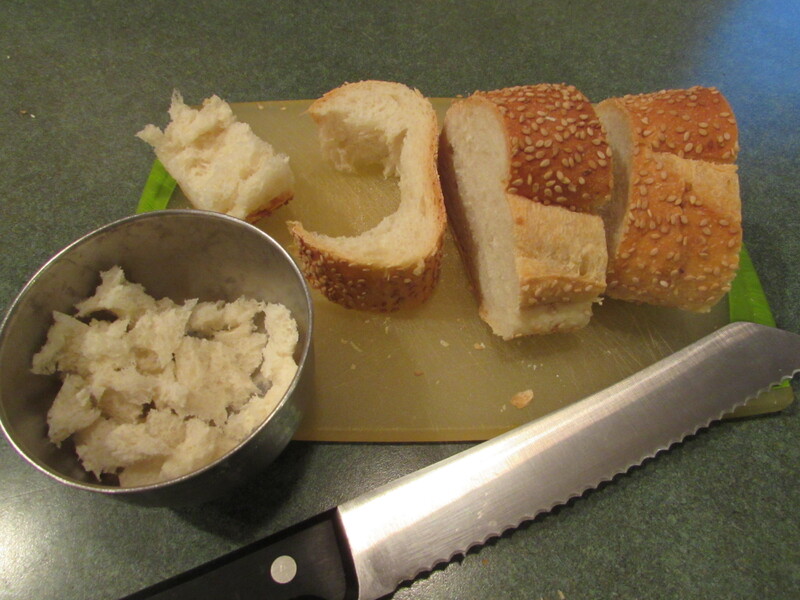 Soak bread in milk while you are getting the rest of ingredients together, for about 4 minutes. 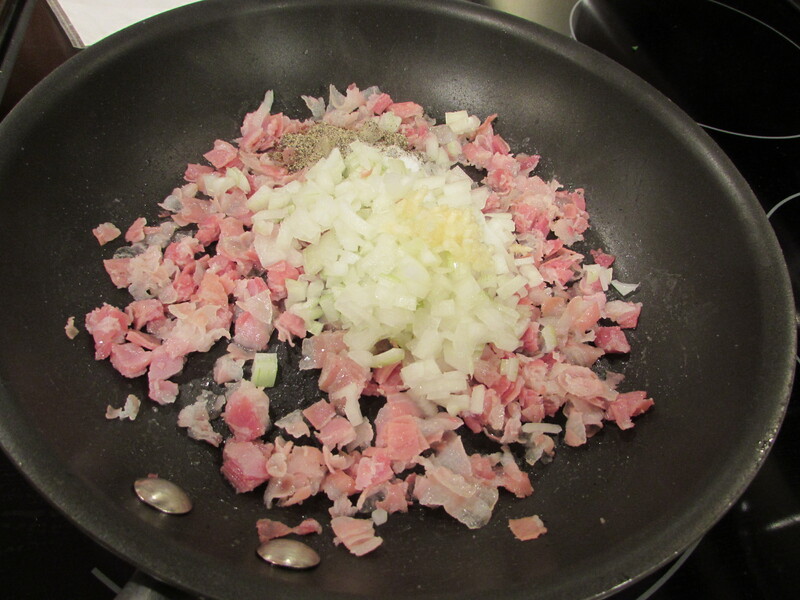 Cook pancetta, onion, garlic, salt and pepper in one tablespoon of the oil, in a medium sauce pan over medium heat, until onion is cooked, about 5-6 minutes. Let cool slightly. 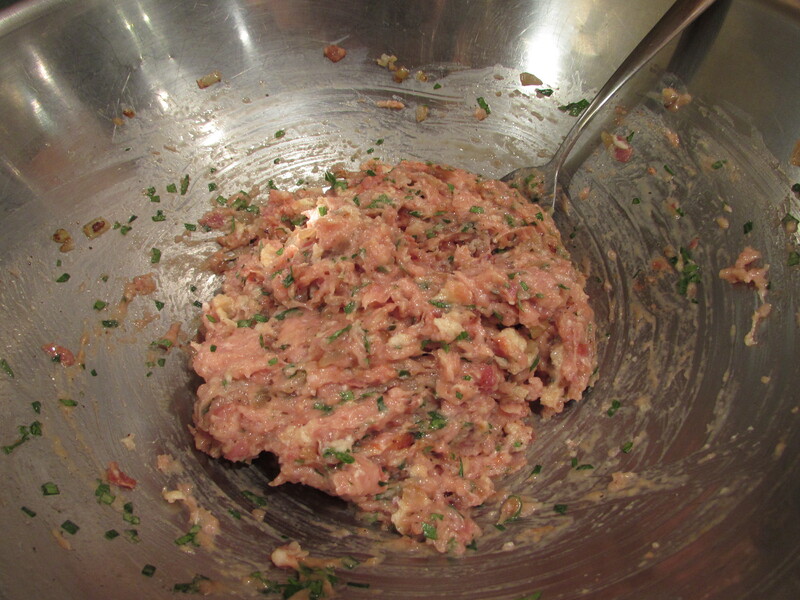 In a large bowl, add egg, ground chicken, 1 tablespoon tomato paste, parsley, bread/milk mixture and the pancetta mixture. Stir together gently until combined. 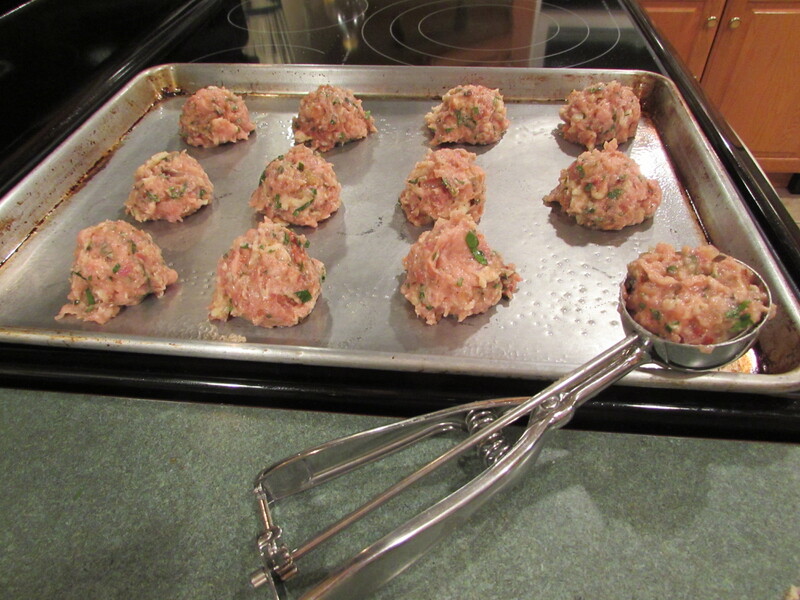 Form into 12 meatballs (using an ice cream scoop helps) and place on a rimmed cookie sheet, sprayed lightly with canola oil spray. 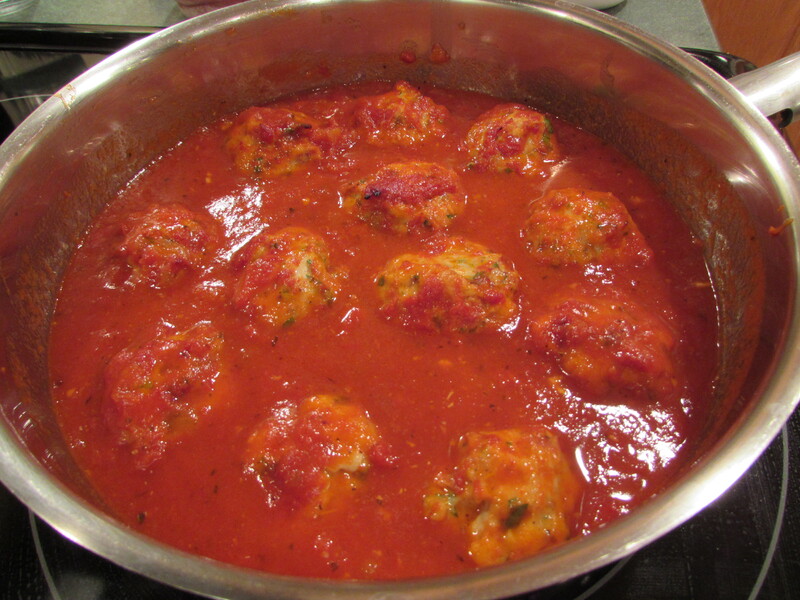 *To serve the meatballs as is, combine 1 tablespoon of tomato paste and 1 tablespoon of olive oil, and brush over the meatballs. 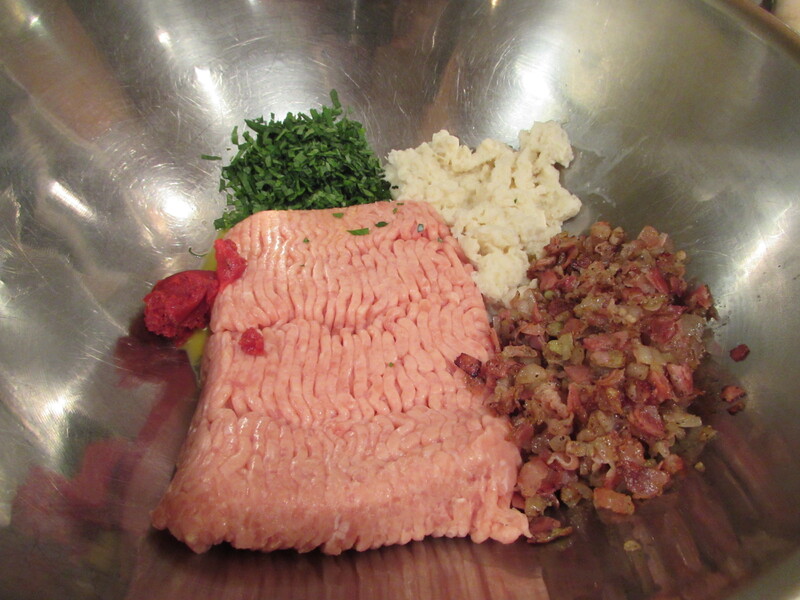 To make the meatballs for tomato sauce, leave off the tomato paste/olive oil mixture. 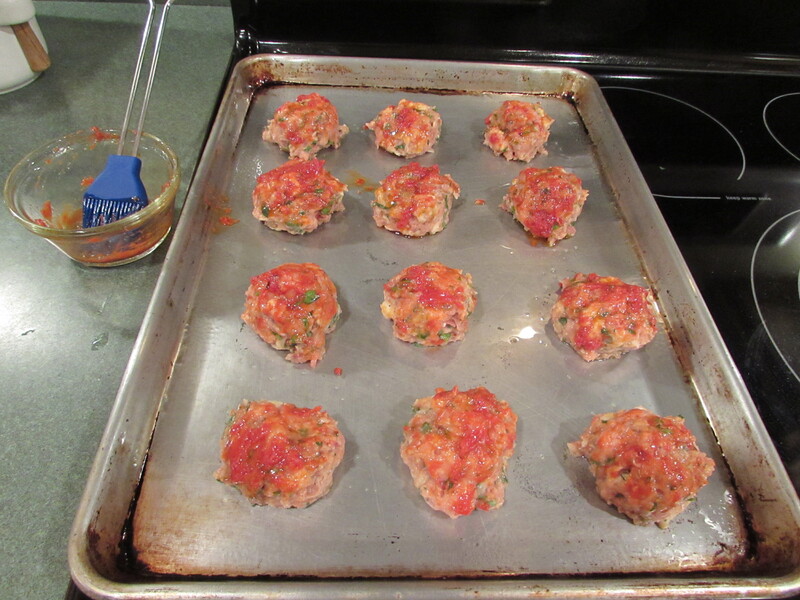 Place meatballs into oven and bake for 15-20 minutes until cooked through. 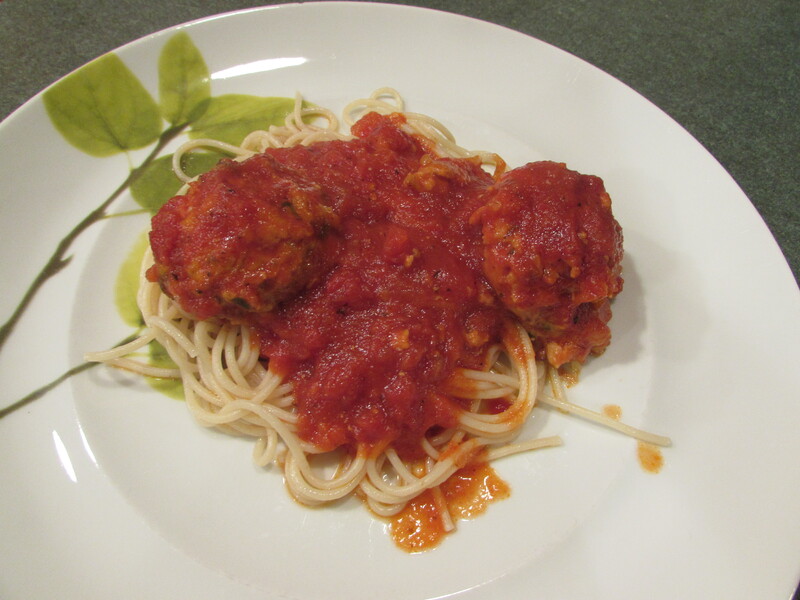 Susie – this is wild – I was psyched to see this entry, as I always make chicken meatballs to go with my homemade marinara for spaghetti and meatballs. They shockingly taste like (but better than) beef! Miss you! I agree, can’t tell the difference! 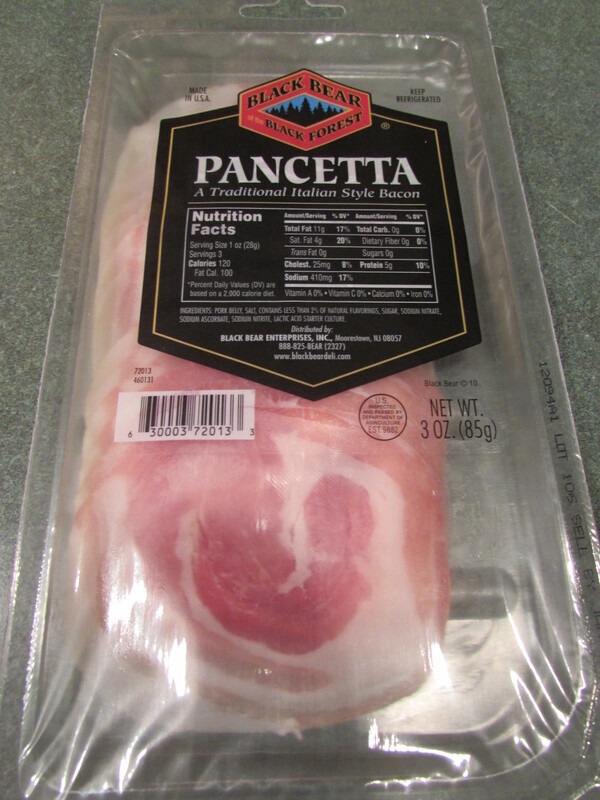 I like the texture better with the chicken. Miss you!